Floyd’s 99 Barbershop, 1741 Sherman Ave. The barbershop will look to open in the coming months. A new barbecue restaurant and well-known barber shop chain will be opening in downtown Evanston this spring, hoping to establish themselves in the city’s competitive retail market. Floyd’s 99 Barbershop has more than 100 locations across the country and will be opening in upcoming months. Falcon Eddy’s Barbecue was founded by the owners of Evanston sports bar and sandwich restaurant Bat 17, located just around the corner. Bat 17 co-owner Jim Hurley said he and his partner had been “kicking around” the idea of opening a Texas-style barbecue restaurant for a long time. When a space opened up under the same landlord as Bat 17’s property, he said the idea became tangible. Hurley added that co-owner Jim Pomerantz’s experience living in Texas helped create the inspiration for the barbecue they expect to serve. However, the restaurant plans to forge its own style with a “spin” on traditional Texas-style barbecue. Floyd’s is unique for its rock music decor and staff with “diverse styles and personalities,” which offer customers unique and authentic experiences, according to its website. Though the city won’t receive sales tax on Floyd’s services, Zalmezak said the barbershop will indirectly impact Evanston’s economy by creating jobs and filling a space that has been periodically vacant for the past two or three years with a “trendy” shop. 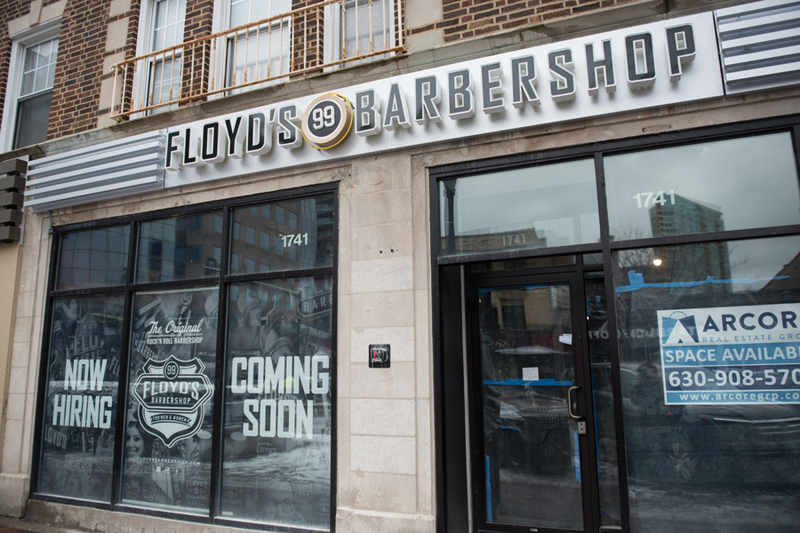 Floyd’s 99 Barbershop will be housed at 1741 Sherman Ave. and Falcon Eddy’s at 825 Church St. Other businesses coming soon to downtown Evanston include Target and Colectivo Coffee. Ald. Judy Fiske (1st) told the Daily she is “so excited” about the additions to the Evanston community.